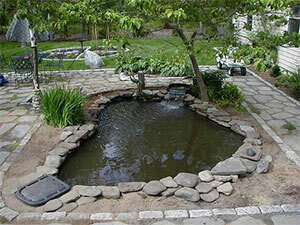 A natural water garden can create an oasis of tranquility in your back yard. Briggs Landscape Contruction can build your custom, low maintenance pond with optional features such as a waterfall, stream, fish and plants to help you reconnect with nature. Contact us for your free consultation and take your first step towards your own private paradise! Briggs Landscape Construction, Inc. has taken great pride in being affiliated with some of the most prestigious business and landscape associations in the Cape Cod area, as well as, the United States.